This article will guide you how to do RAID 0 drive backup with third-party software. 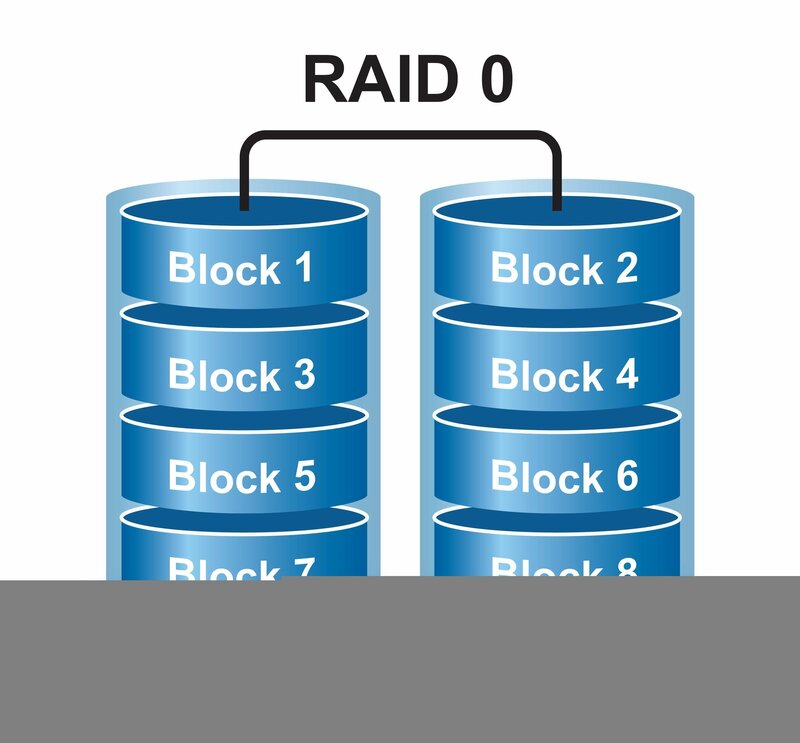 RAID 0 is quite different from RAID 1, because it provides no data protect solution for users. Aiming at this issue, we prepare this text for you to talk about why and how to backup RAID 0 drive. RAID 0 is also called Stripe or Striping; it represents the highest level of storage performance. Unlike other levels of RAID arrays, Raid 0 provides no data redundancy and it disperses data across two or more hard disks uniformly. In most cases, people use RAID 0 to improve disk performance or to combine two small physical disks into a larger logical one. One can make a RAID 0 out of two or more disks of differing sizes. The total storage space of RAID 0 is determined by the size of the smallest disk. For instance, when a 300 GB disk is striped together with a 500 GB disk, the total size of the RAID 0 array will be 600 GB (300×2). RAID 0 uses striping to write and store data through several disks synchronously, suppose you write 3 GB file onto your RAID 0 which is created by 3 disks, then, 1 GB of file is written to each disk simultaneously. The function of writing and reading through multiple disks would absolutely improve the performance of computer, but RAID 0 provides no solutions to protect the security of data, and all of the data in RAID 0 will be lost if any one of those disks fails. Just because of this, we strongly advise you to download and install a professional backup software to backup those valuable data from your RAID 0 in advance. Among all the professional backup software, AOMEI Backupper is the most powerful as well as the most user-friendly one. It has derived good points and qualities from all its competitors and also developed some unique features. Apart from the common features of System Backup, Disk Backup and Partition Backup, AOMEI Backupper also allows user to do Incremental Backup and Differential Backup. If you are too lazy or too busy to do backup manually, don’t worry, AOMEI Backupper provides a Schedule Backup which would help you realize backup automatically. For more detailed tutorial about how to do RAID 0 backup please visit this article: How to Backup Disk for Windows PC and Server.